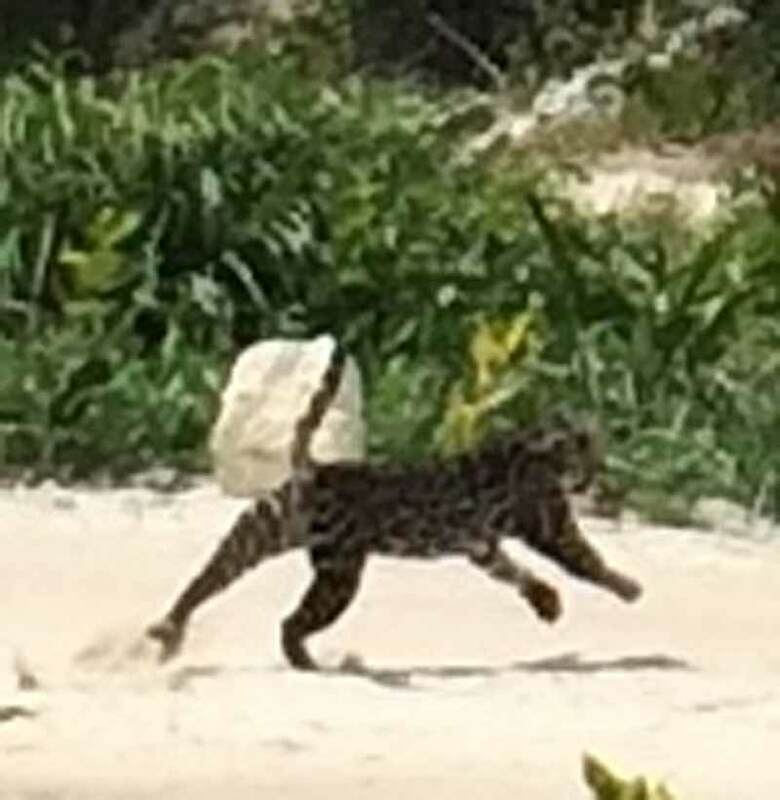 Ocelot running right behind Costa Blu Dive and Beach Resort on Ambergris Caye. Photo and sweared oath by Jeff Spiegel. 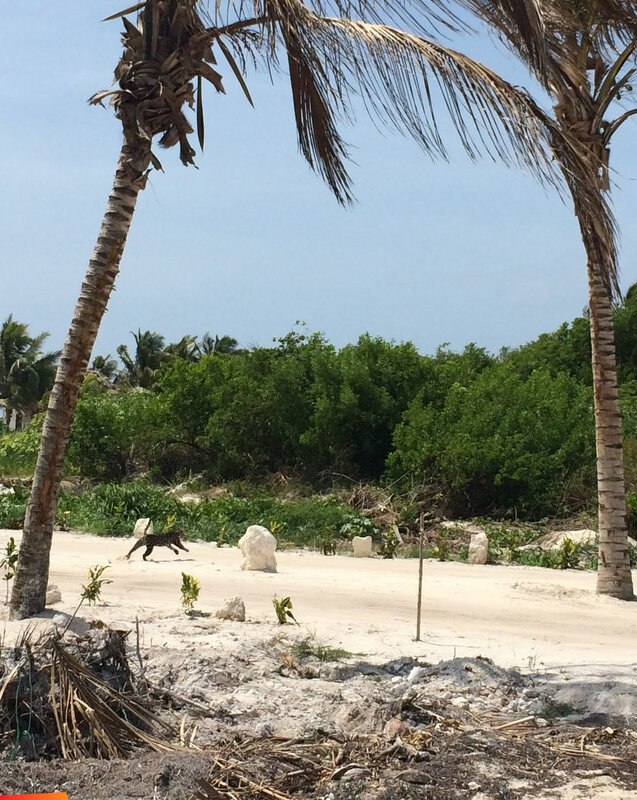 The cat ran right across the road in front of me, just by Costa Maya. They it rummaged in the leaves long enough for me to fumble with my phone/camera and get out of my cart. Snapped a bunch of pics but it's really hard to see the animal in them... crazy how effective their camouflage is!!! Then, it finally got tired of me and bolted, which is when I snapped the one good pic. 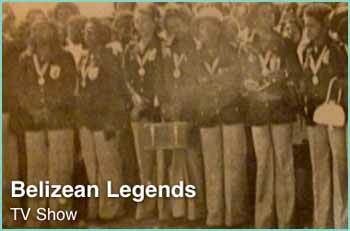 About 7yrs ago when Xtan Ha was still Belize Legacy one was found dead. It has been electrocuted.